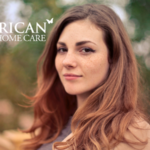 Finding the right home healthcare company to work at can seem overwhelming. There are so many reasons people look for a new company to work with. 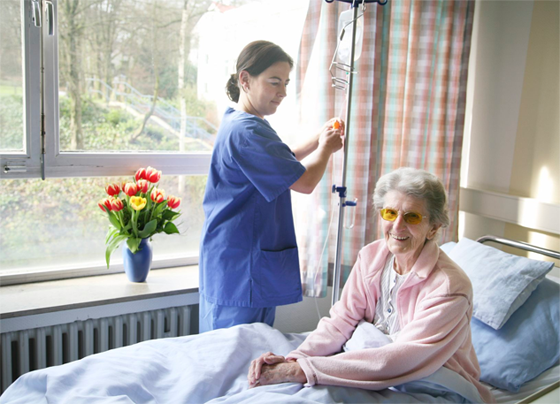 Low wages isn’t the reason many CNAs leave their current employer. Benefits and job satisfaction play a role as well when it comes to finding the right company to work at. 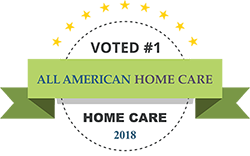 At All American Care, we understand how important you are, and that’s why we offer the best support and options for CNA’s and home health aides! Find a company that offers a competitive (and higher!) salary. 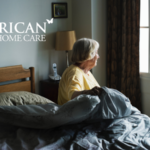 Many home healthcare companies typically offer minimum wage and those low wages can be hard to live on and to maintain a vehicle for work-related travel. Look for a company that offers direct deposit. This means your paycheck will be more consistent and you don’t have to worry about heading into the office just to pick up a check. What you look for in benefits can be different for what another person is looking for. Be sure to look into what a company offers their employees in the way of vacation time, leave time, health care and retirement benefits. What you may want in benefits may change over time. If you end up working for a company for many years, it is important to know if the company has a variety of plans to choose from. You may end up changing your plans as your life changes. Look for a company that offers a signing bonus. A little appreciation at the start of joining a new team can be a nice added bonus. Do you need a flexible work schedule? Be sure to look for a company that will work with you, for example, if you need to pick your children up from daycare by a certain time. A job that causes stress in your personal life can lead to overall dissatisfaction. Let’s face it: if it’s causing you more stress, you’re not going to stay with that company very long. Does the company have multiple or convenient locations for submitting paperwork and checking in? It can be a hassle to constantly drive across town just to do these things, putting more mileage on your car. One of the reasons many CNA’s report low job satisfaction is due to emotional distress from dealing with patients every day as well as the constant demands of the job and too little respect from supervisors. Many CNAs describe how common it is for higher-ups to delegate the “dirty work” to them because they don’t feel like doing it. Look for a company where RNs, LPNs and CNAs work together as a team and that jobs are delegated fairly. No job feels rewarding when you are constantly the one to clean all the bedpans. Look for teamwork company-wide. Is the staff involved in decision-making? Is the staff asked for opinions on how to improve the company? When a company listens to their worker’s opinions and input, it can lead to a sense of worker-appreciation and higher job satisfaction. If you are new to the field, perhaps a company that offers a mentorship program is the right fit for you. Not only can a mentoring program ease you into the field, it can also build confidence as well as lasting friendships within the company. Perhaps you are more comfortable speaking in Spanish. Find a company that can communicate with you in a language you are comfortable speaking in, without making you feel less than for not speaking in English. A company should be able to communicate just as well with you as it does with any of its English-speaking employees. Diversity in employees should be of value. With a diverse population to service in home healthcare, many companies are looking for multi-lingual employees or Spanish-speaking employees. Overall communication should exist between team members as well as between the company and its employees. It is important to know what is expected of you, rules and regulations and any other information pertinent to doing your job well. Look for a company that values communication with its employees. Since everyone is individual, a company that could be the right fit for you may not be the right fit for someone else. Finding a company that meets your needs in benefits, salary and scheduling can vary person to person. But most everyone can agree that a company that values and appreciates its employees makes for a better work environment.